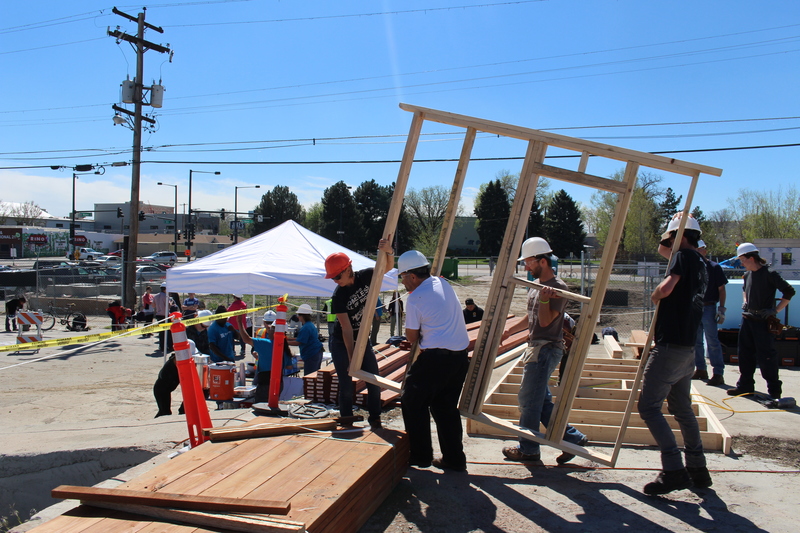 Saturday May 20th, 2017 was the first big day of building Beloved Community Village, the first ever Tiny Home Village in Denver. 100 volunteers including future village residents, neighborhood residents, members of Mennonite Desiaster Services, Whiting-Turner, Ridian Ink, and members of all the organizations making up the newly formed Colorado Village Collaborative, came to help build the village! Monday we continued to build with over 40 volunteers. We will continue to build over the next week (or so) and are projecting to completely finish construction by the end of June. 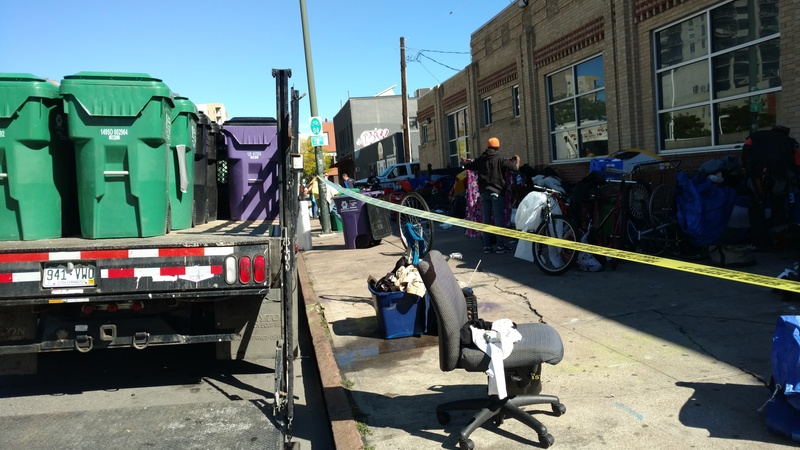 At the same time as the village was being built Monday morning 5/22, Denver police and city officials were sweeping about 20 people who had been staying on the side walk on 21st and Champa “away” and taking their belongings. Some folks staying out here moved to this area after being swept from the Lawrence and Park Ave area this winter and as more sweeps continued in areas along the river and elsewhere. Those swept from this area scattered to other areas outside breaking the same survival ban law everywhere they go to rest. This village is the response of homeless people to this criminalization of survival and to the utter lack of housing poor people can actually attain. As we have seen through this building, with community we can build these homes with little money and little time. The struggle is for land and legalization of these attainable communities and homes — whether it be a tiny home, a tent, a tarp, or just a piece of cardboard. Video of First Wall being Lifted! ← Beloved Community Tiny Home Village Building Starts Saturday May 20, 2017! !